When leaving a pet at home during a vacation, it is not only emotionally difficult but expensive as well! Costs for boarding for a a dog-sitter can quickly add up for each day that you are gone! When you stay in our pet friendly cabins, you avoid these expenses! Instead, you can enjoy the comfort of having your beloved pet right by your side! All of our cabins are just minutes from pet friendly activities. Your pet will be happy to stretch their legs and enjoy some exercise! One of the best places in the Smokies to take your pet is the PetSafe Unleashed Dog Park in Sevierville, which is open daily throughout the year. This modern dog park features separate areas for large and small dogs, agility equipment, water and benches. If you prefer to walk your dog while enjoying some spectacular scenery, head over to the Gatlinburg Trail just off of River Road in Gatlinburg. This pleasant trail is one of just two paths in the Great Smoky Mountains National Park where dogs are allowed. One of the awesome things about our pet friendly Smoky Mountain cabins is that we allow two dogs in each cabin! Our only restriction is that dogs have to be under 25 pounds. If you ever have any questions or concerns about our pet friendly cabins, just check out our cabin rental policies or feel free to reach out to our staff! We would be delighted to help you find the perfect cabin for your vacation! All of the pet friendly cabins at Hemlock Hills Resort Rentals contain the wonderful cabin amenities! You can take advantage of a fully equipped kitchens, private deck with scenic views, hot tubs and more! Just imagine kicking back by the fireplace with your pet on your lap or relaxing outside together to enjoy the fresh mountain air! 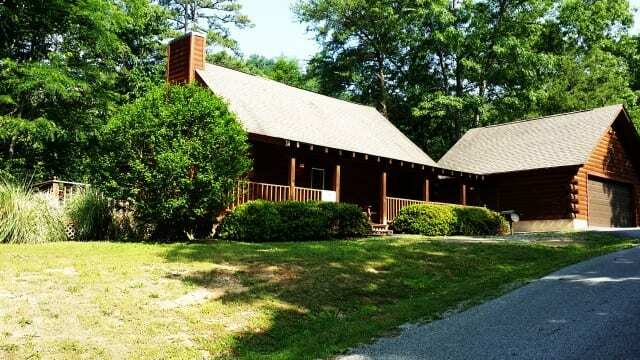 Our pet friendly Smoky Mountain cabin rentals are available for affordable rates that make it easy on your budget! When planning your vacation, be sure to take a look at our latest Smoky Mountain cabin specials that can save you even more money on your trip! These incredible deals include last minute discounts and other offers, so check back often to see what is available! Check out all of our pet friendly Smoky Mountain cabin rentals today to plan a getaway with your favorite furry companion! We look forward to seeing you soon at Hemlock Hills Resort Rentals!